Thank you all for your donations, interesting e-mails and encouraging support of the AudioExcite Loudspeaker Design website. Read full article |Comments Off on Merry Christmas & a Happy New Year! 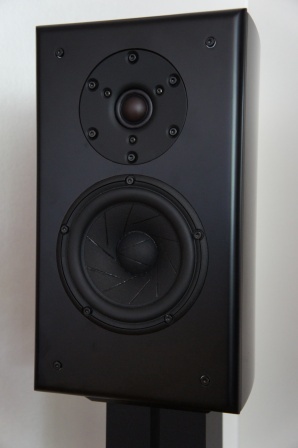 I’ve completed the measurements for the Satori MW16P-4 mid-woofer. 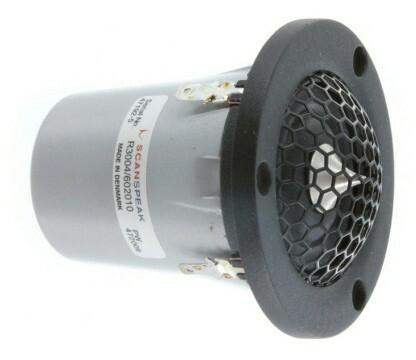 This is the new mid-woofer “flagship” driver from SB Acostics and is clearly targeted to compete with the very best mid-woofer drivers from e.g. ScanSpeak Revelator and Illuminator series and perhaps drivers from AudioTechnology and Accuton etc. 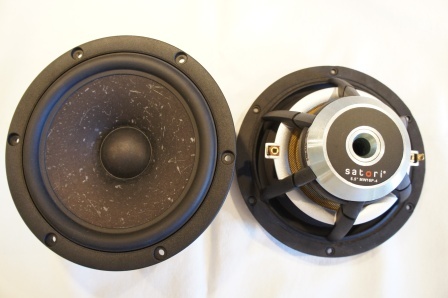 My tested driver units are the 4 Ohm version of the Satori mid-woofer. 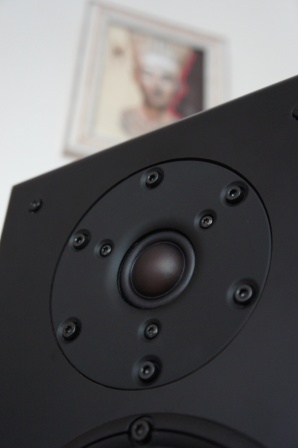 The Satori mid-woofer places it self somewhere in the middle of the price range, but to be honest it is also a slightly larger mid-woofer than the rest of the drivers on list. 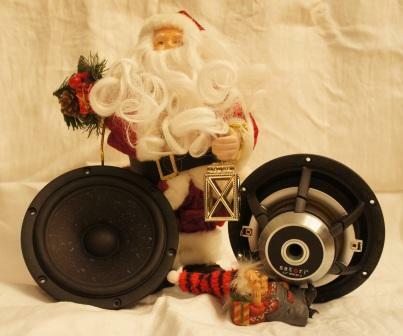 There aren’t many true 6.5” mid-woofers on the market today and on the list the Accuton driver is the closest match. If we increase the size to about 7”, which is the most common size today the comparison fails a bit since with this driver size we seldom can use them up to about 3kHz, as in the case of the Satori. A low resonance frequency of 29Hz out of the box without any burn-in. A large linear excursion capability of +/- 6mm. A very stiff cone without any severe cone break-ups. An extreme linear and extended frequency response up to 15kHz, on-axis. A low loss rubber surround with very low mechanical damping. A high Qms and low Rms together with the properties of the surround, provides the possibility of a fast and dynamic bass response. 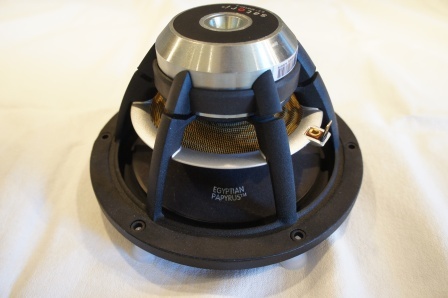 A very low distortion profile throughout the mid-woofers usable range. A usable frequency range up to 3kHz and it allows the use of shallow sloped filters. A good consistency between the two tested driver unit samples. Are there any cons? Yes, it has a modest spike of odd-order distortion and an elevated second-order distortion at the cone edge resonance. I think this is an excellent top performer and worth its price compared to the competitors, but I haven’t yet subjectively listened to it in an actual loudspeaker design and I can’t tell if it is also high performer audibly, but it certainly has the potential to be a top sonic performer! Right now I’m testing different tweeters to match the Satori and eventually there will be a “Satori Two – Monitor” design. 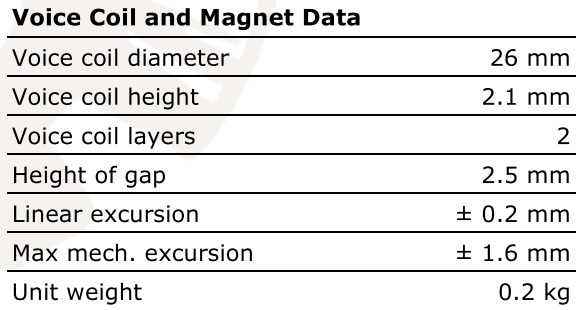 Read full article |Comments Off on Satori MW16P-4 Measurements! On the test bench this time I’ve measured and compared two different compact sized tweeters from the ScanSpeak Illuminator series, the R3004/602010 and the D3004/602010. These two tweeters are essentially the same tweeter. They share the same housing, face-plate and motor system. The “R” version is the ring dome version and the “D” version is the 1” textile dome version. 2dB lower sensitivity than the “D” version. More linear on-axis frequency response (<30deg off-axis). Slightly higher distortion than the “D” version. Costs about 35$ more than the “D” version. 2dB higher sensitivity than the “R” version. Better off-axis frequency response (>30deg off-axis). Slightly lower distortion than the “R” version. 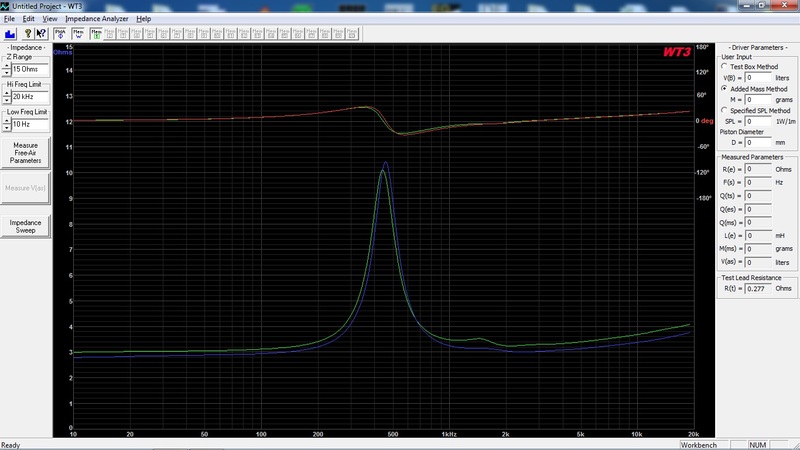 If we look at and compare the tweeters impedance response, we see that they are almost identical. The “D” version has about 0.2 Ohm higher impedance than the “R” version. If we look at the frequency response graphs, we can see that the “R” version has a very linear frequency response (+/- 1dB 2-20kHz) on-axis and up to 30deg off-axis. The “D” version has better off-axis dispersion above 30deg off-axis. For those who doesn’t like the look of the protective grill, it’s safe to remove it since it doesn’t affect the performance at all. It’s very easy to remove and re-attach the grill as needed without breaking it. Which one to choose? That’s hard to say without subjectively listened to both of them in a loudspeaker design. Based purely on the measurements I would say that the “D” version has better price/performance ratio than the “R” version. If you value pretty looking frequency response graphs or need extreme tweeter linearity on-axis, doesn’t need the extra sensitivity and isn’t price sensitive, go for the “R” version. 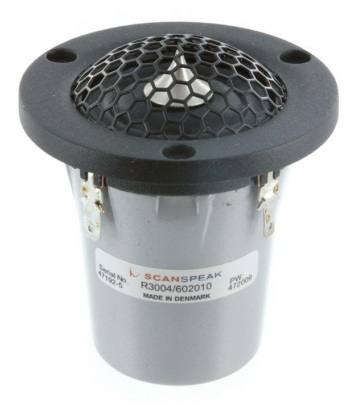 Read full article |Comments Off on ScanSpeak Illuminator Tweeter Measurements! Revelation Two – Monitor MkII Released! The Revelation Two – Monitor MkII loudspeaker uses two of my favorite driver units, the ScanSpeak 15W/4531G00 mid-woofer and the ScanSpeak D3004/660000 tweeter. Even though these drivers are quite expensive, I think they are worth its price and they deliver top notch sonic performance. The ScanSpeak 15W/4531G00 is one of the smoothest driver I’ve ever measured and is completely without any nasty cone break-ups and it’s very well suited for shallow sloped filters like the second-order Linkwitz-Riley I’ve used in this design. 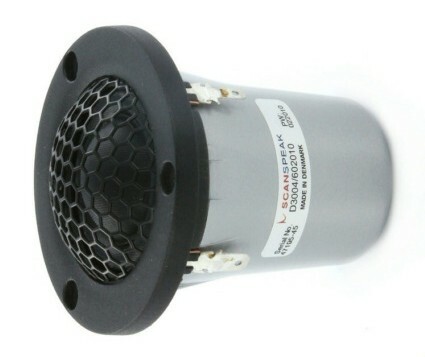 The D3004/660000 tweeter has a low distortion profile and is also a perfect match for the second-order cross-over filter I’ve used in this design. I’m a fan of non-complex cross-over filters and I cannot say that this cross-over is simple if I count the filter parts needed for it, but it isn’t really that complex as it may look like at the first glance. The mid-woofer cross-over uses a couple of response shaping circuits and the tweeter uses a “Ladder Delay Network” circuit to time delays the tweeter so its acoustic center off-set matches the mid-woofer and makes a perfect phase behavior around the cross-over frequency with minimal phase distortion. Besides that the cross-over is very simple with a first order filter for the mid-woofer and a second order for the tweeter together with a LCR circuit to flatten the impedance peak at the tweeters resonance frequency. 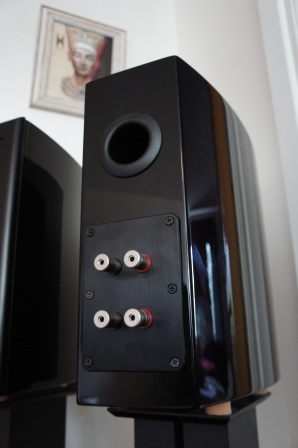 The loudspeaker can be built using two different enclosure volumes and port tunings, 11 liter or 14 liter enclosure. 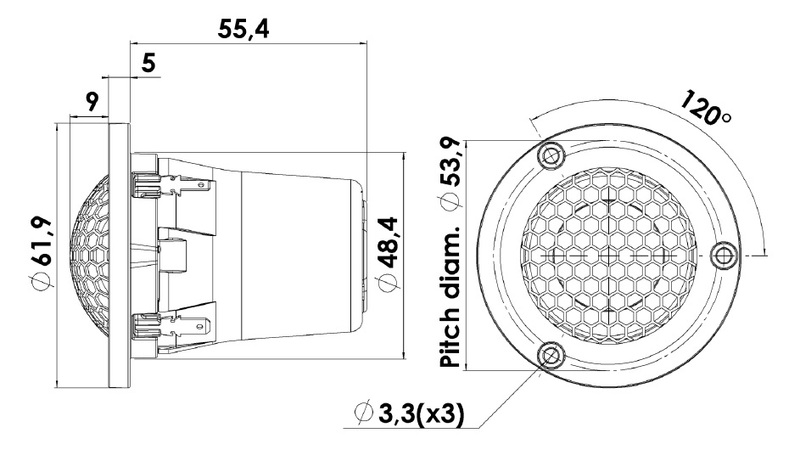 One thing to remember is that the baffle dimensions and driver unit layout must remain the same in both options. Build the larger enclosure by making it deeper in order to accommodate the needed extra 3 liters. In the published design I’ve used the Parts Express 11 liter curved enclosure, which works well and looks great. Both enclosure options have great bass response. In this design I personally prefer the smaller enclosure due to its quicker mid-bass response. The larger one is an option for those who want to dig a few Hz lower. I’m very happy with the end result and in this design I think managed to use both these very fine drivers to its full potential. 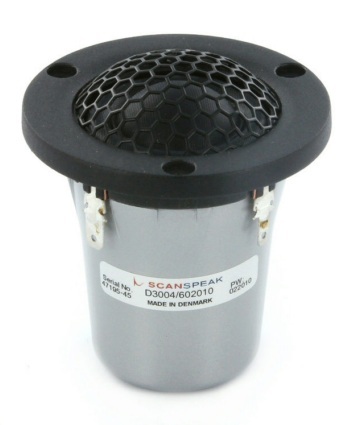 I might also if anyone whishes release a “Beryllium” tweeter variant using the very nice ScanSpeak D3004/664000 tweeter? Read full article |Comments Off on Revelation Two – Monitor MkII Released!